Hey! Surprise! I'm still here. I'm sorry I've been a little MIA on the ol' blog lately, but life has been busy lately at work, busy building the house and busy loving life with David and our little family. While I hate that things are too busy to blog, it also means things are good over here! Luckily, though, I should have more time this summer to spend blogging and keeping you posted on things over at the farm and with the house build! 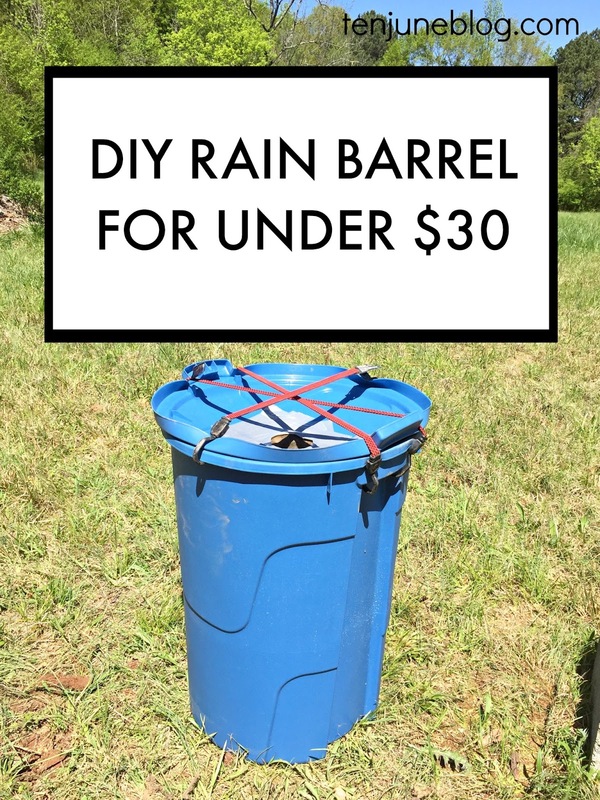 Today's project is an easy one- a DIY rain barrel. But the best part? It's cheap! You can do this entire project for under $30! 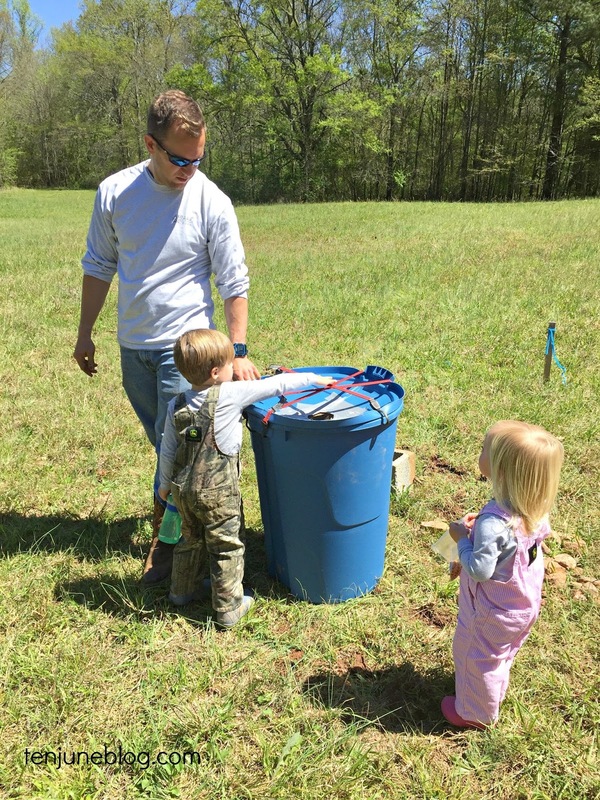 We shopped rain barrels for the farm garden and couldn't find anything under $100, so $30 is certainly a steal. 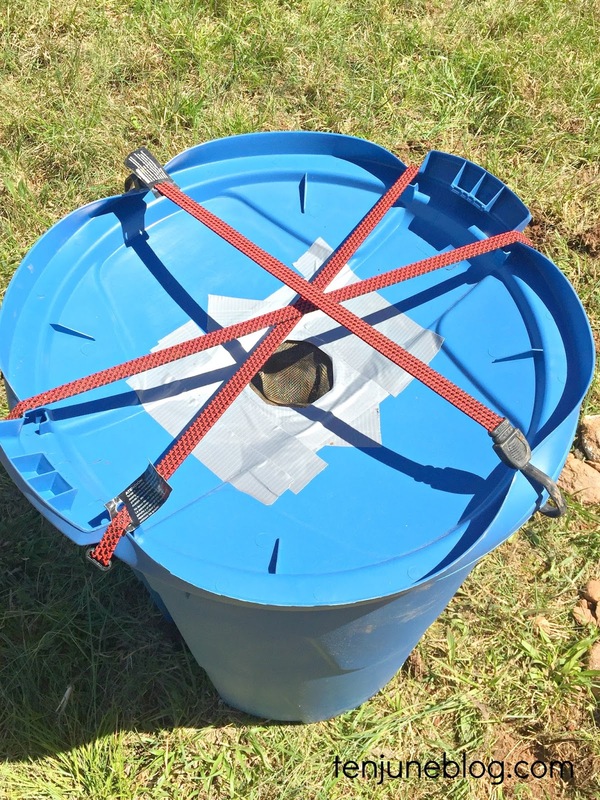 All you need is a large outdoor trashcan with a concave lid (ours is one like this), a simple kitchen sink strainer like this, a utility knife, duct tape and either large rubber bands or small bungee cords. To set the rain barrel up, take the lid off of the trash can and flip it over. Using the strainer as a template, cut a circle in the center of the lid that is slightly smaller than the strainer. Insert the strainer in the hole while the lid is upside down. The concave of the upside-down lid helps the water run down into the barrel. Use the duct tape to attach the strainer to the lid. Then, all you have to do is attach the upside-down lid to the can! As you can see, we used the bungee cords but you could also use rubber bands around the handles of the trash can if you have handles. And that's it! Easy peasy and cheap. A project like this would be perfect for your yard, a big garden or even just a container garden. This has been one of the best things we've added to our garden. As I mentioned in my garden tour video post, we still don't have running water out at the farm. The well will be dug soon! But until then, we have rainwater to water the garden. Plus, rainwater is so much better than tap water for things like blueberries. Also, the kids LOVE visiting the garden and seeing how much water collected since the last visit. So it's kind of win, win. And for under $30, you can't beat it! Guys, I am having so much fun designing our new house. It's seriously a dream come true. And I've been so busy with it all that I haven't had much time to share here on the blog! Well, here we go. Let's start with one of my favorite elements in a house: the tile. Maybe I'm the only one out there, but when it comes to picking out tile for our new house, I feel a little clueless. In fact, before I started the shopping process, I Googled "how to shop for tile" like a crazy person. Besides the obvious "pretty" factor, there are just so many different ratings and numbers and factors to take into consideration! How do you know where to begin?! Especially when you're shopping for an entire house full of tile! So, I did a little research, conducted some field studies (ie. an afternoon spent among beautiful tiles with my friends at Floor & Decor... if you twist my leg!) 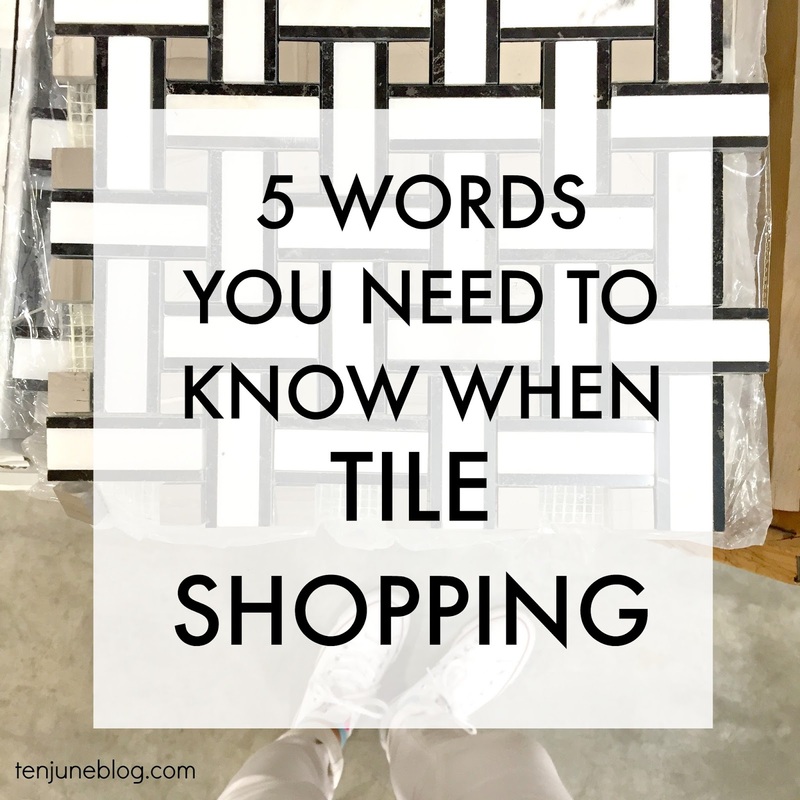 and have put together the ultimate source for tile shopping: five words you need to know when tile shopping! 1. STYLE: This one's easy. In fact, it's the only thing I knew about tile before I started this process. Style is essentially the design of the tile. Is it contemporary? Is it polished? Is it a stone look? Are you going for a wood look? 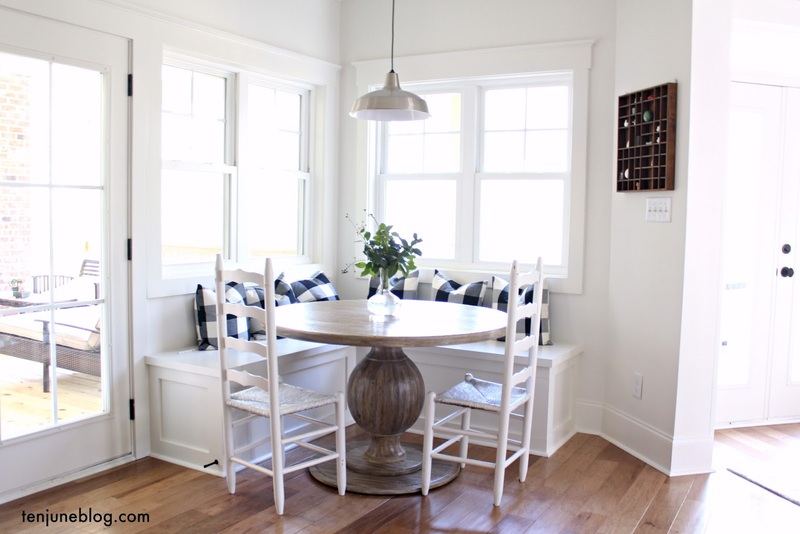 Speaking of, if you spend any time on Pinterest, you'll know the "wood look" for tile is in. Totally hip. Major cool. Super awesome. Too legit to quit. Okay, I'm done. 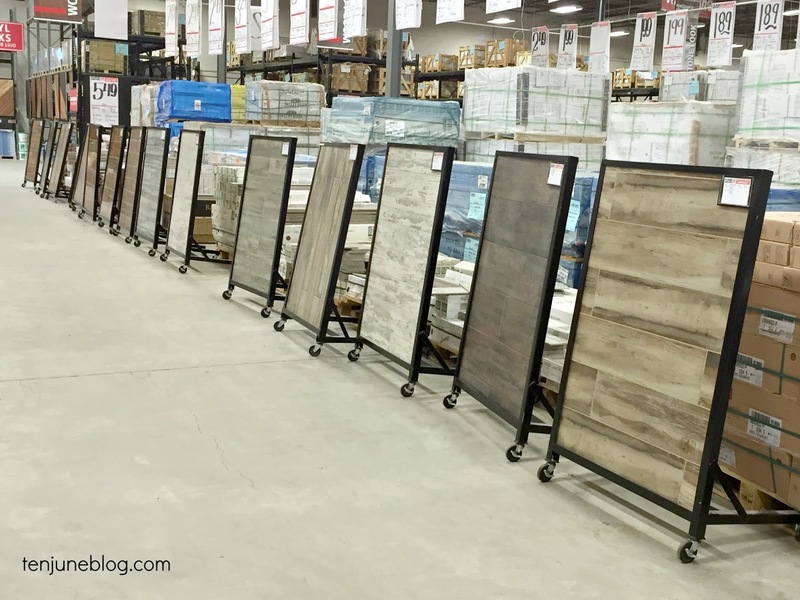 One look around the Floor & Decor store and I was hooked... their wood look tile selection is for realz! 2. TONE: Essentially, tone is the variation in the tile. With natural stone, tone details the general character of the tile- is it warm? Earthy? Cool? If you're looking at other tile, tone is really set by determining the print quality. 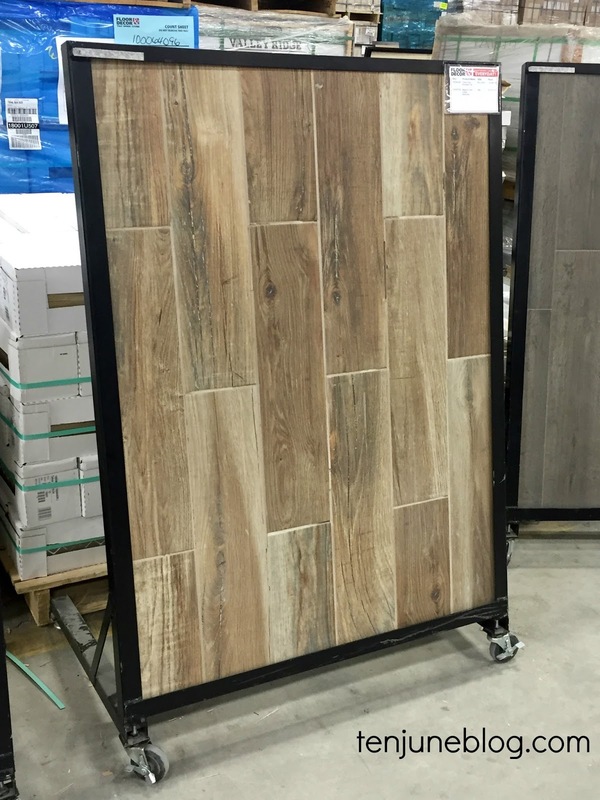 At Floor & Decor, they've got their tile categorized by high-quality inkjet printed, roto color printed and screen printed tiles. 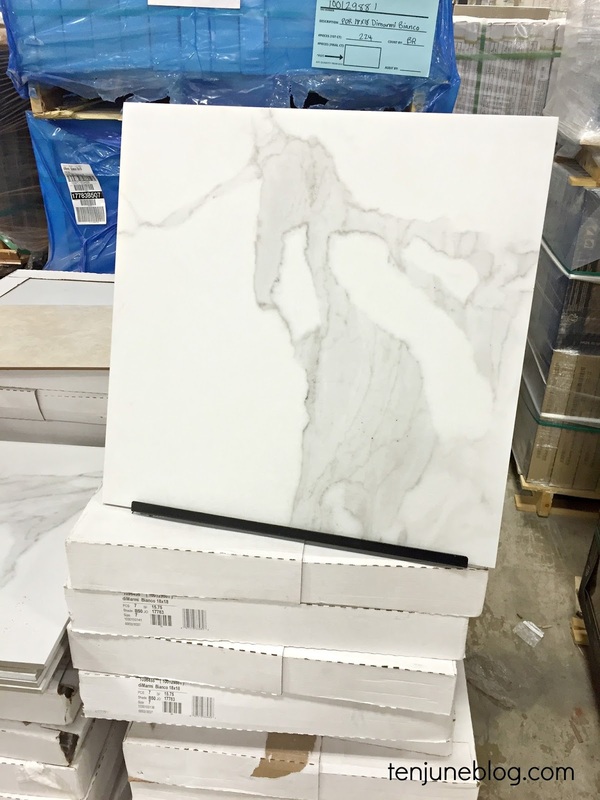 Can you believe this is just a porcelain tile with a stone look that's inkjet printed? 3. 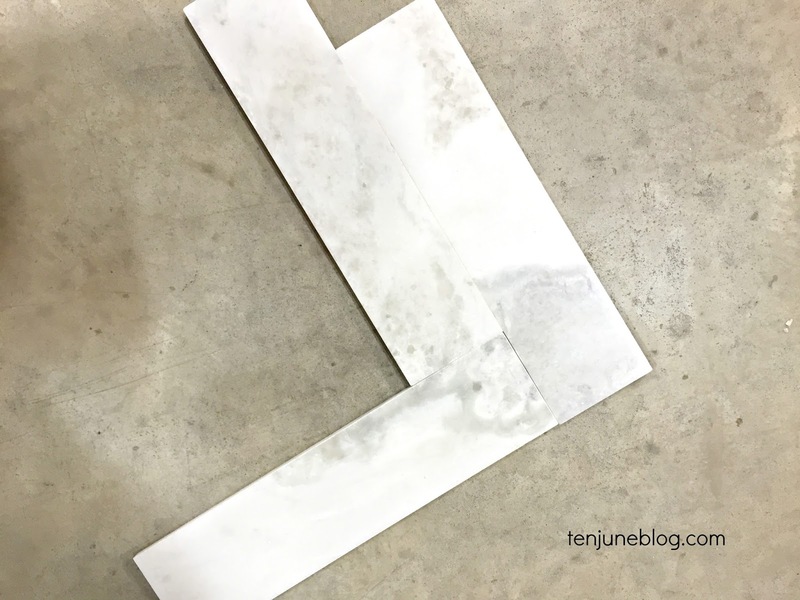 EDGE: I honestly never knew this about tile- there are different types of edges for each tile! I guess I knew there was beveled versus straight edge, but really that's it. There's so much more to tile life than that, ha! 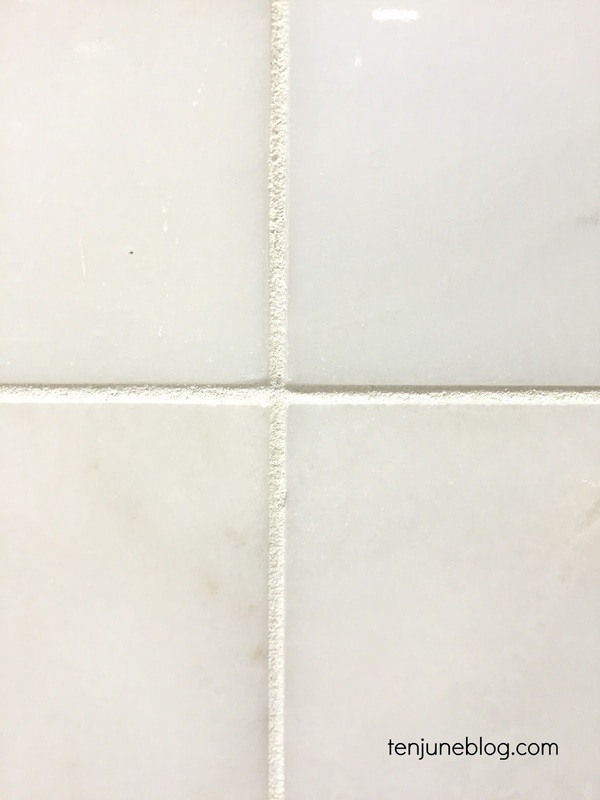 The two main edge types are pressed edge, which is basically rounded edges that allow for smooth transition from tile to tile and makes grout lines more prominent, or rectified edge, which is a straight edge which sets narrower grout lines (which is easier to clean!). I tried to capture the difference here, but you have to look closely. This Carrera marble tile has a rectified/straight edge. 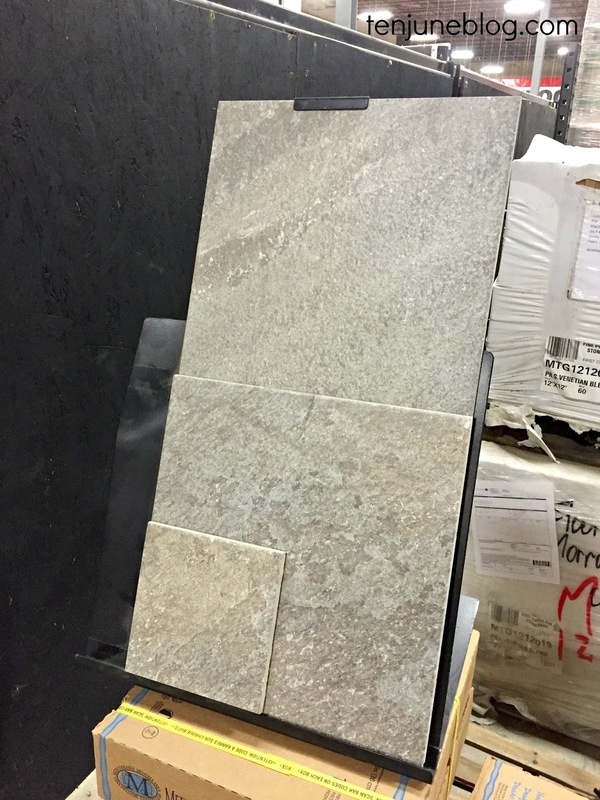 This porcelain Venetian stone tile has a much more rounded, pressed edge. 4. PEI: This is a big one... the PEI grade is one of the most important things you need to know when purchasing new tile! Basically, it's the Porcelain and Enamel Institute's wear/durability rating. The lower numbers (categories I and II) are not durable and are basically only meant for wall tiles. The higher grades (categories III and IV) are more durable and can be used in residential flooring. The highest grade (V) is extremely durable and can be used in high-traffic and commercial flooring. Boom. I'm a PEI expert. No diggity, no doubt. 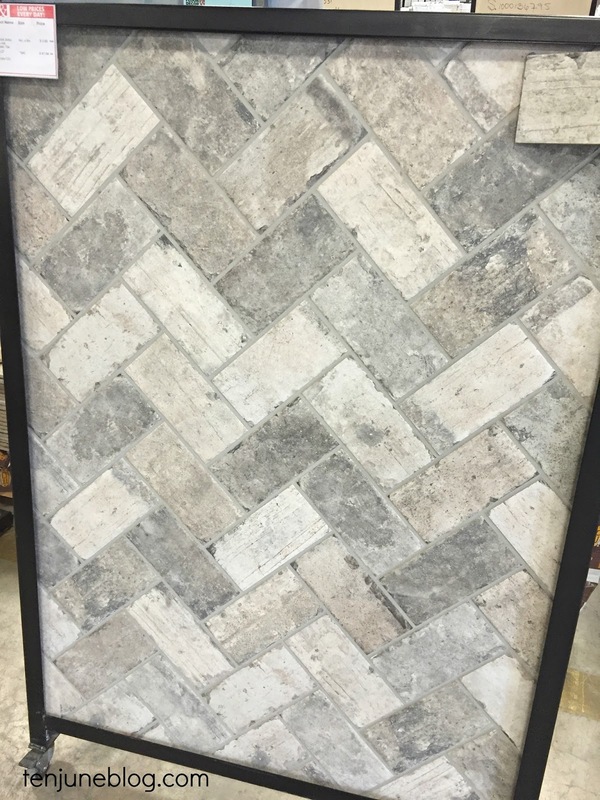 For example, check out this beautiful faux brick tile. You'll have to forgive me, because I'm slightly obsessed with this tile and it's rustic look, perfect color and HIGH PEI RATING. WOOT! I know, the herringbone lay really works its way into my heart, too. So this amazing tile has a high PEI grade of 4. 4! 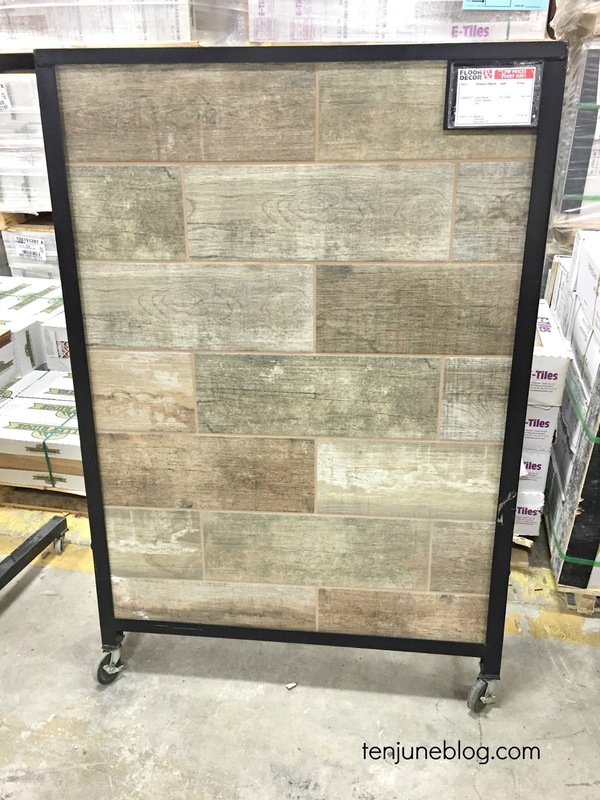 It's the perfect tile for something like an entry way or mudroom (which is where we were thinking about putting it). It looks like our mudroom will be all hardwood like the rest of our first floor, but if that changes, the first tile I'll look for that space is this one. Here's looking at you, pretty tile with your high PEI grade. 5. POROSITY: Last, but not least, we need to talk about porosity. Or water absorption. Basically this rating justifies whether or not your tile can go indoors or outdoors. You can also look at the coefficient of friction rating (COF) to determine whether or not the tile will be slippery or not. Safety first! These ratings will help you determine if your tile fit for outdoor use? Or a wet space, like a shower, bath or kitchen sink area? These are important things to note! 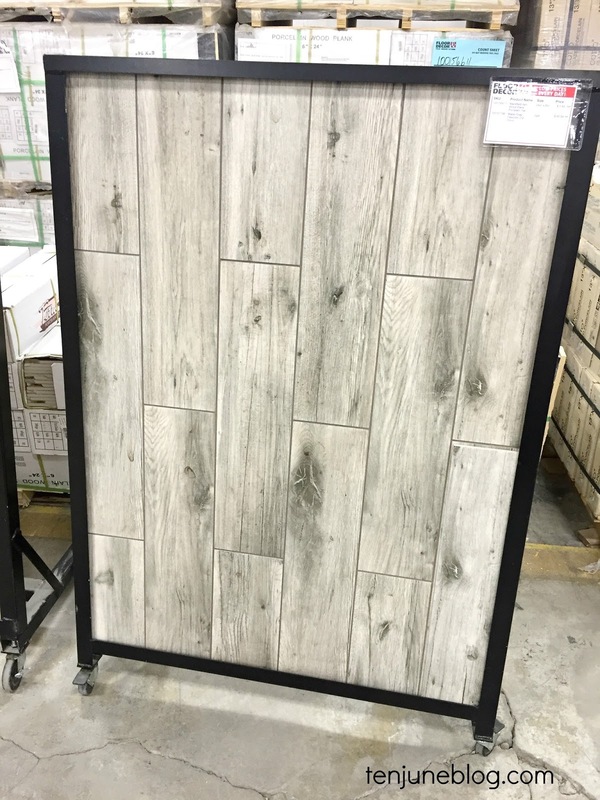 This pretty faux wood tile is only eligible for indoor use, so it's likely made of a more porous material like a ceramic tile. 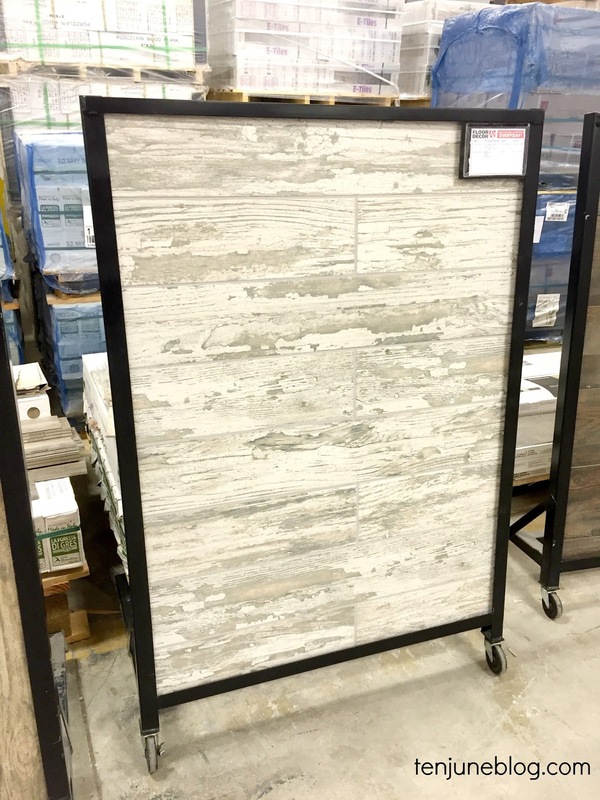 But this bad boy (also a beautiful wood look tile) can be used indoors or outdoors, as it is a less porous material (likely porcelain). Hello, screened-in porch makeover?! Alright, class. Repeat after me. Style. Tone. Edge. PEI. Porosity. You nail those words and you will nail tile shopping for your next project! Luckily, the folks at Floor & Decor are extremely helpful. In fact, they've even got a few signs and stations in every store which highlight these words and some of the key phrases/concepts. Like a cheat sheet! Thanks for the CliffsNotes, Floor & Decor! Now that we're all schooled in tile shopping, let's get to the even more fun stuff: actually picking the tile! I can't wait to show you guys what tile selections I have going for the new house. Here's a peek! Thanks to Floor & Decor for allowing me to shop one of your local stores and for sponsoring this post. All opinions and facts presented are my own.